Mrs. Sarah (Mother) Lockett, Robinson, daughter of Mr. Willis and Christiana Lockett was born September 20, 1925 in Hardeman County, Tennessee. She departed this life June 29, 2018. Mother is the last one of her nine (9) siblings. Mother attended Bolivar Industrial School. Later she united into Holy Matrimony with Mr. Albert Conwell Robinson, who preceded her in death. Mother was the mother of six (6) children, one girl and five boys. Three sons preceded her in death, Mr. Jerry Robinson, Mr. Earl Wayne Robinson and Mr. Preston Lynn Robinson, Three Grand-sons and one Great-Great Grand-Daughter. Her specialties were German Chocolate and Punch Bowl Cake and chicken and dressing. 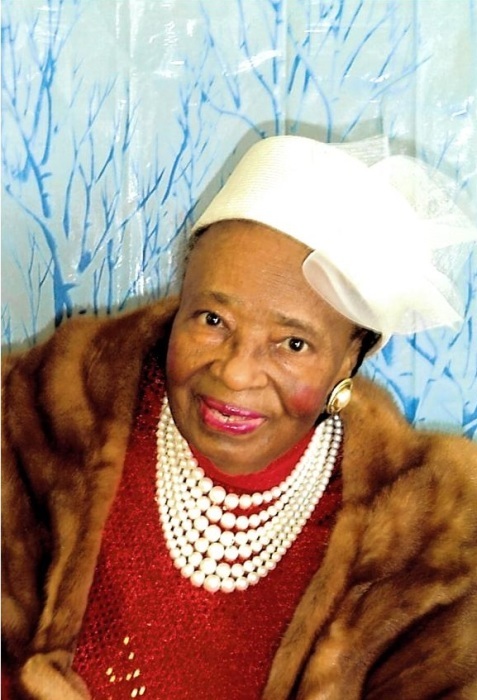 Mother leaves to cherish her memories three children: Alma Jean Dorse of Jackson, TN; Albert L. (Wanda) Robinson; Willie Fred (Jean) Robinson both of Bolivar, TN. Two Daughter-In-Laws, Mrs. Carolyn Lucille Coby Robinson; Mrs. Darcell Robinson; One Sister-In-Law, Mrs. Earline Lockwood of North Carolina; …..Grandchildren; …..Great-Grand Children; …..Great-Great-Grand Children; Nieces; Nephews; Relatives; Church Members; Co-Workers; and Friends, and her close friend and roommate, Ms. Evelyn Joy.